Crawdads, also called Crayfish or Mud Puppies, are a main staple for fish in many lakes and rivers. 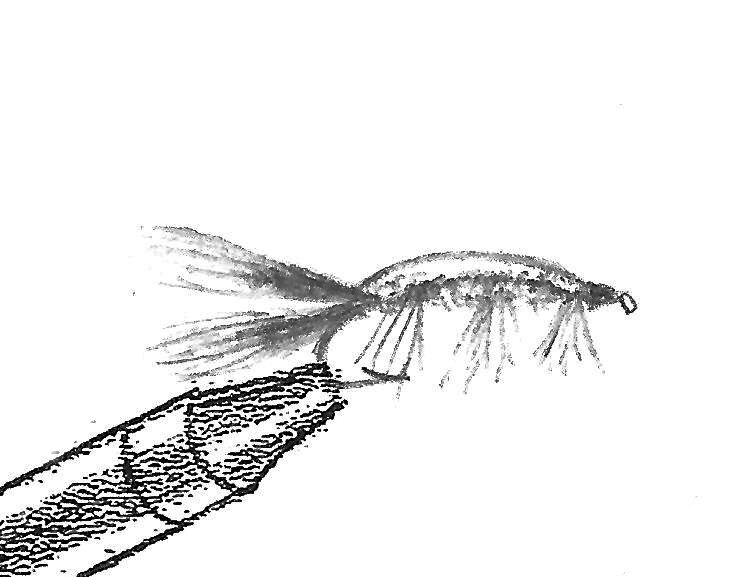 Crawdad fly patterns are very effective for a variety of fish including trout and bass. Some tiers like to tie close imitations of crawdads, but from my experience, patterns that are suggestive of the real thing are more effective. Shown below is a very simple and effective imitation that was tied by a friend of mine which he called the Mud Bugger. 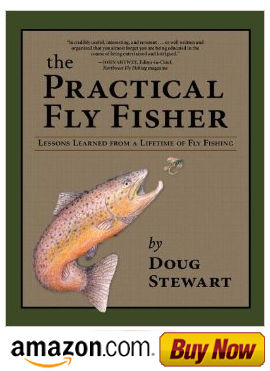 Because crawdads like to eat small fish, decomposed materials and a variety of insects, the flies should be twitched along the bottom or dead drifted in moving water. 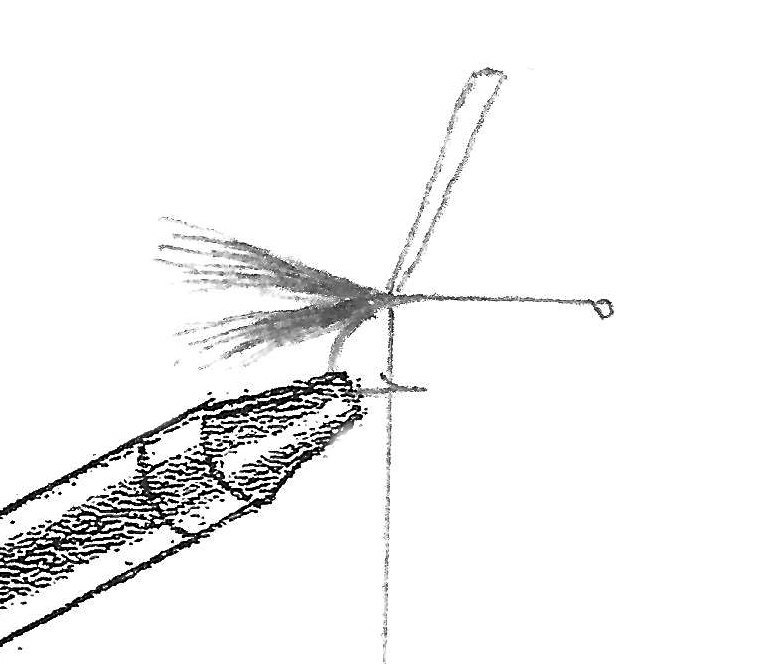 How to tie the Mud Bugger. case that is 1/8 to 3/16 inches wide and attach it vertically. 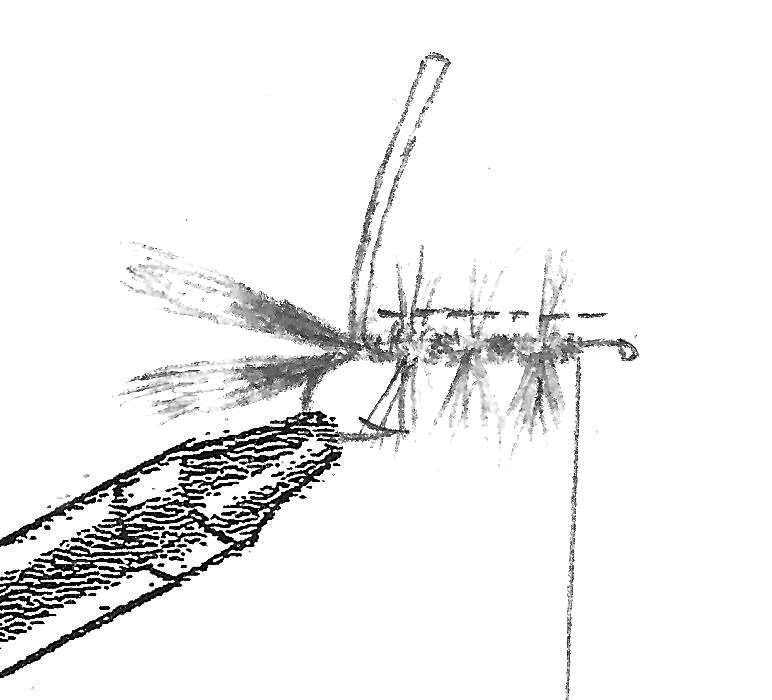 Attach the body and hackle material. with the hackle. 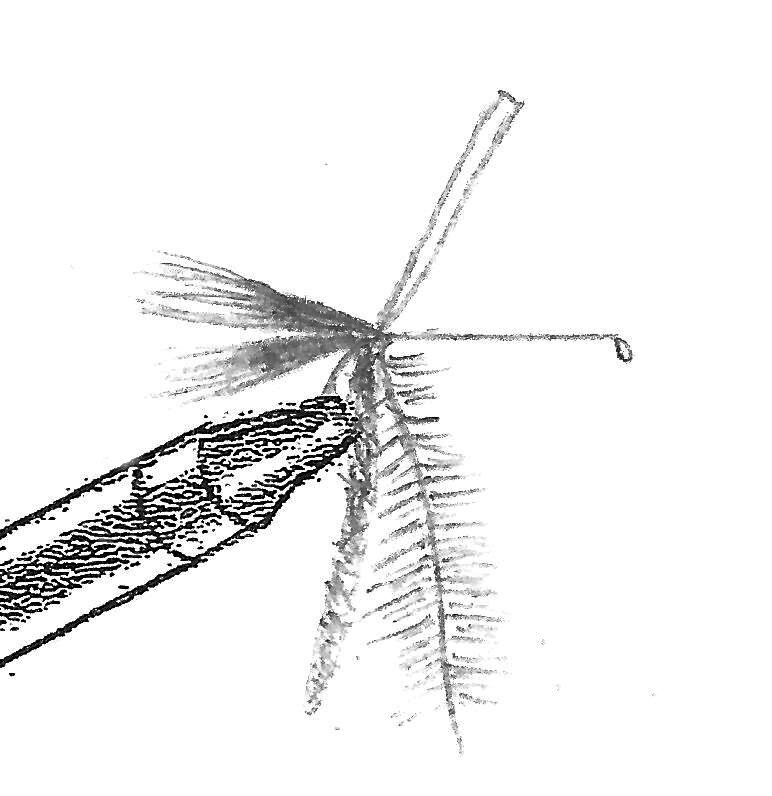 Trim the hackle on top of the hook to 1/8 inch. 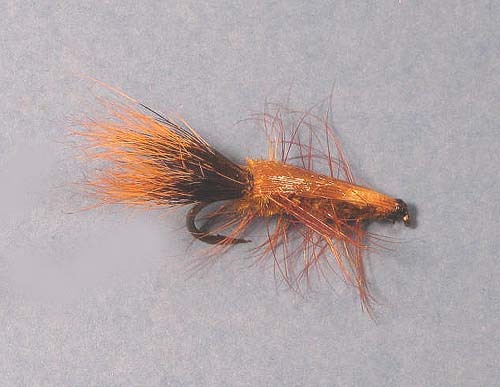 Pull the wing case forward over the body and hackle and tie it off. Coat the wing case with head cement or other lacquer and finish tying the head off.